Signs & Symbols The Tree of Life from The Movie - The Fountain, Could the Biblical Tale be True? 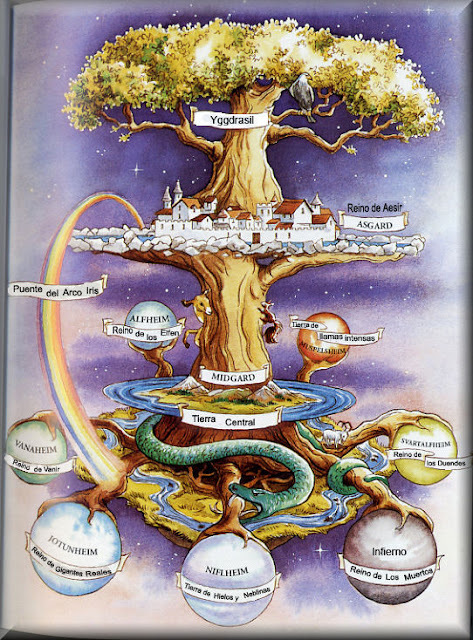 The Tree of Life from The Movie - The Fountain, Could the Biblical Tale be True? For those who have seen the movie The Fountain you will understand that it is a very spiritual movie where Actor Hugh Jackman is led on a spiritual journey in finding the Tree of Life which he hopes will save his wife from cancer. At first in the physical plain he does come across a tree which has the genetic properties of fighting cancer but in turn the movie then becomes quite complex as it deals with 3 different dimensions all occurring simultaneously revolving around this tree, but the "star" factor of the movie is the spiritual world that Hugh is enduring as he dwells with what we know as the Tree of Life, at these points it is difficult to understand what the "truth" is in him being one with the spiritual nature of enlightenment. A synopsis of the movie at the end the article. The ash is the more important of all symbolic trees, and it is said to have been the first tree ever created. The myths and legends surrounding it that come from all corners of the world are all testimony to its elevated mythological status. Just as the oak is the "King of the Forest" the ash is the "Queen of the Forest", associated with the color and element of silver, and other feminine qualities such as water and the Moon. The Goddess Nemesis, daughter of the sea god Oceanus carried an ash wand as a symbol of divine justice. As a counterpoint to this, oaths were taken on spears made of ash wood. It is said that Witches Broomsticks were made of ash, as it helped them fly quickly through the air as well as providing a powerful link with the Goddess. giant tree also reach down to the underground well, Mimir which is said to be the source of all the secrets of magical powers and mystical revelation. 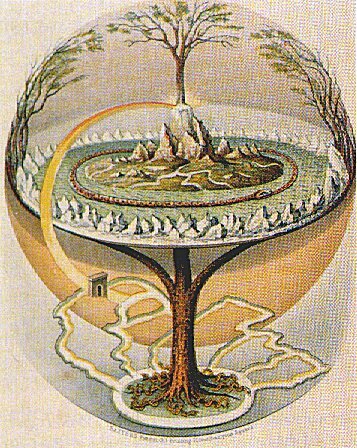 Now the branches of Yggdrasil also stretch right up into the Heavens sheltering the entire Universe in its branches, a mythic tree that is the one constant feature of a changing world. The ash is seen as a symbol of stability. Since the ash exists in both worlds of spirit and matter, it's a symbol of the union of opposites and therefore of marriage The ash is also a fertility symbol, and amulets of ash wood are said to attract love. Older ash trees sometimes grow or split in such a way that a hole is formed in the trunk, it was actually customary to pass new born babies through this hole to ensure their protection or even to cure illness. It should be noted that during Rituals, small tokens of food or coins would be pushed into the ground around the roots, protective charms would then be made of the ash wood and garters of ash wood were worn to protect against the malevolent powers of witches. The roots of the ash look peculiarly human in shape and so were used in healing charms, the root substituted for the person in question. At its core, The Fountain is the story of a 21st century doctor, Tommy Creo (Hugh Jackman), losing his wife Izzi (Rachel Weisz) to cancer in 2005. As she is dying, Izzi begs Tommy to share what time they have left together, but he is focused on his quest to find a cure for her. While he's working in the lab, she writes a story about 16th century Queen Isabella losing her territory to the Inquisition while her betrothed,conquistador Tomás Verde plunges through the Central America forest in Mayan territory, searching for the Tree of Life for his Queen. Since she does not have time herself, Izzi asks Tommy to finish the story for her. As they look out to the stars, she imagines that their souls will meet there when the star dies. And we see astronaut Tom, in 2500, travelling there for the event, in a spaceship made of an enclosed biosphere containing the Tree of Life. 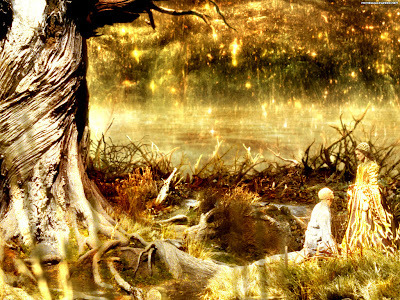 Whether these stories are actual events, or symbolic, is not clarified; and, Director Darren Aronofsky emphasized that the story lines in their time periods and their respective convergences were open to interpretation.